Modern irrigation schemes in tropical areas are almost without exception, social, ecological and economic disasters. They necessarily lead to the flooding of vast areas of forest and agricultural land, the displacement of hundreds of thousands of people and the spreading of waterborne diseases like malaria and schistosomiasis. In addition, they are badly run, poorly maintained and the irrigated land is soon salinised or water-logged, while the reservoirs where the water is stored, rapidly silt up. The remarkable traditional irrigation systems they have replaced, on the other hand, not only worked perfectly, but also satisfied all social and ecological imperatives. Explain the following words as they apply to the reading. Why do you think countries build huge dams to supply irrigation needs rather than relying on traditional Islamic methods? 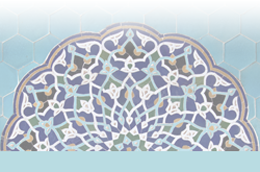 Debate: Traditional Islamic methods of irrigation have a place in today’s environment. Tunnels that carried water from an underground source to another location. There are tunnels in Iran that are over a thousand years and still work. 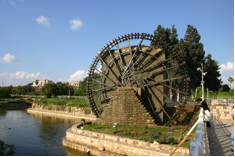 Similar to water wheels, and often worked with the canal systems to provide water across large areas, especially in Spain. 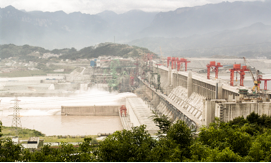 Today, dams are often a common way to provide water and water power, but they are very large and can displace a lot of people.